Ogden, bordering the towering Wasatch Range, lies a scant 40 miles north of its big brother Salt Lake City and its international airport. 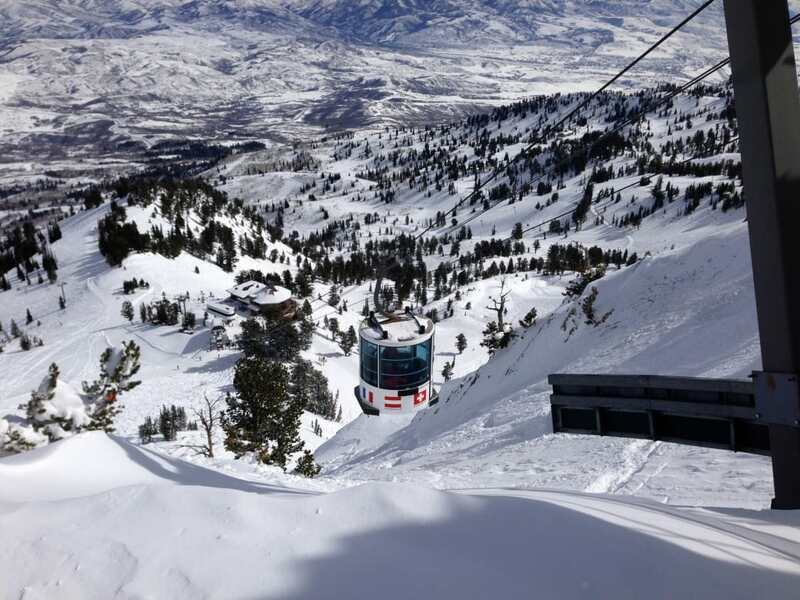 Ogden and its three ski resorts—Snowbasin, Powder Mountain, and Nordic Valley—doesn’t have the immediate name recognition of the famous ski areas east of Salt Lake, but the skiing is just as great and the snow is just as deep as Alta, Snowbird, and Park City. The friendly city also offers affordable lodging, fine restaurants, and a vibrant après ski scene. 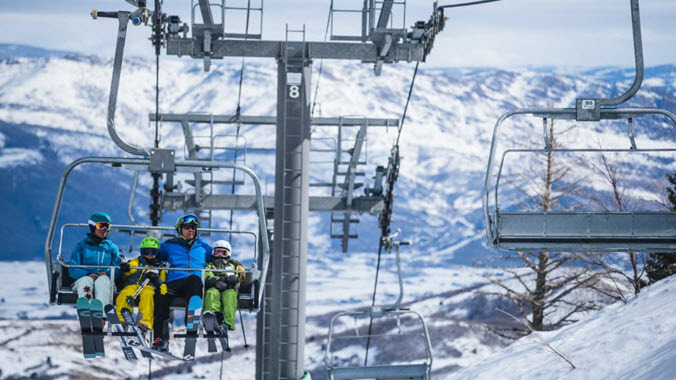 Combined, Ogden’s three ski resorts boast over 11,000 acres of varied ski terrain, 7,000 feet of vertical drop, more than 500 inches of annual snowfall, and, best of all, no crowds. Snowbasin Resort, a scant 20 miles east of Ogden, is not only stunningly beautiful, but it’s also a world-class ski area. If you watched the best skiers in the world racing in the downhill, combined, and Super G events in the 2002 Winter Olympics, then you saw Snowbasin at its finest. Now you can not only speed down the Olympic courses but also cut turns on mellow slopes down the eastern flank of 9,570-foot Mount Ogden. 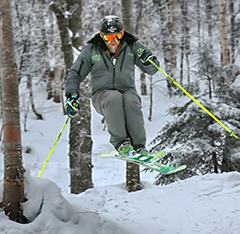 The 3,000-acre resort, with a 3,000-foot vertical drop, offers 107 runs that vary from intermediate to expert and are perfect for a family ski vacation. Snowbasin also has multiple terrain parks, powder skiing in alpine bowls, short lift lines, fast lifts, and lots of elbow room. Powder Mountain, 19 miles northeast of Ogden, covers 8,464 acres of skiable terrain, making it one of the largest ski areas in the United States. The area lives up to its name with more than 500 inches of fluffy powder blanketing the mountain each year. The terrain is accessed by 9 lifts and affordable in-bounds sno-cat rides that drop you off at pristine powder slopes and backcountry areas. Powder Mountain is a true adventure skier’s area with only 1,500 lift tickets sold each day to ensure the lowest skier density in North America, with 167 runs and no crowds. 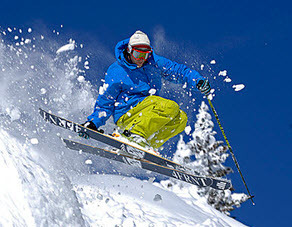 Nordic Valley has a hometown feel, and it’s where many Utah residents learn to ski – Visit Ogden. 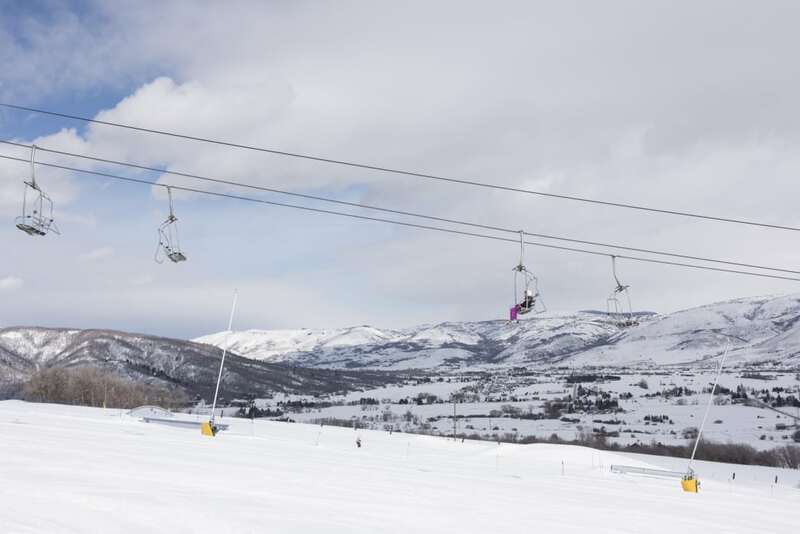 Nordic Valley is perhaps the best mountain in Utah for novice skiers and snowboarders. 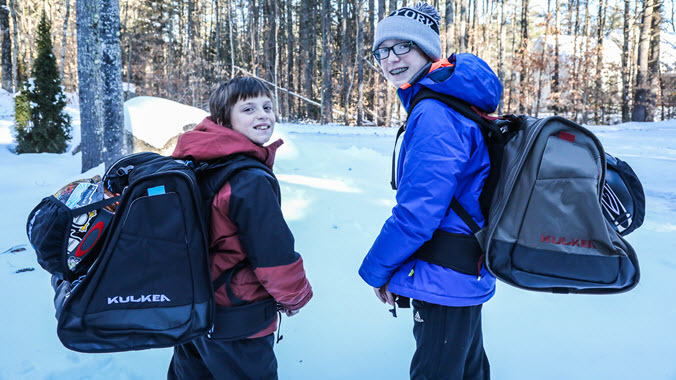 This quaint, hometown resort offers 110 skiable acres, 1,000 feet of vertical drop, four lifts, 300 inches of annual snow, and 22 trails that are primarily beginner and intermediate runs. Little skiers like the Magic Carpet area with its short runs, while boarders practice on boxes, rails, and jumps at Lair Terrain Park. 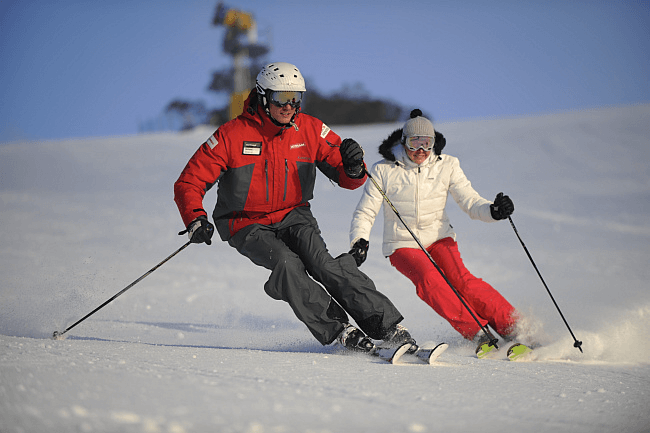 If you need a refresher course or want to learn to ski, the Ski and Board School offers affordable daily lessons. Nordic Valley is Utah’s best spot for night skiing with 100 percent of the slopes under bright lights. It’s easy to reach Ogden from the Salt Lake City International Airport. Rent a car and jump on I-15 and 35 minutes later you’re checking into your hotel. An affordable alternative is the high-speed UTA FrontRunner, a commuter train from Salt Lake to downtown Ogden. From Ogden, regular UTA bus service whisks you to the slopes so you’re riding the first lift up the mountain to cut turns in fresh powder. 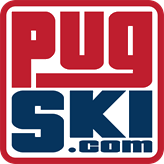 Staying in Ogden gives you access to some of the state’s best skiing – pauljoelhancock. When you ski near Ogden, it’s best to use the city as your base camp. Spread against the west flank of the Wasatch Range, Ogden is a lively hub with plenty of lodging options from budget to swank. 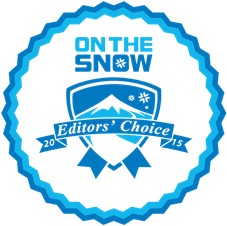 There are also plenty of lodging options in the Ogden Valley east of town including full-service hotels and condos close to the slopes. 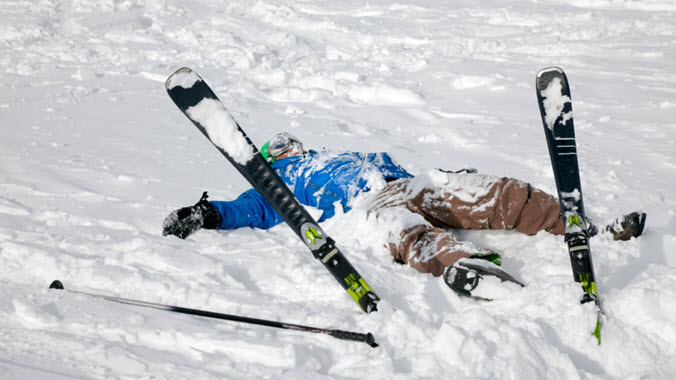 After chewing up powder on the slopes, head back to Ogden on the ski bus for après ski drinks and tasty meals. Downtown Ogden is your best bet with a wide range of bars and restaurants within walking distance of many hotels. False-front buildings, once brothels, opium dens, and card houses, are now eateries and bars along the Historic 25th Street district. Recommended spots are Brewskis for beers, City Club for the lemon pepper wings and cheap drinks, Alleged for cocktails, and the Kokomo Club, an old dive bar. 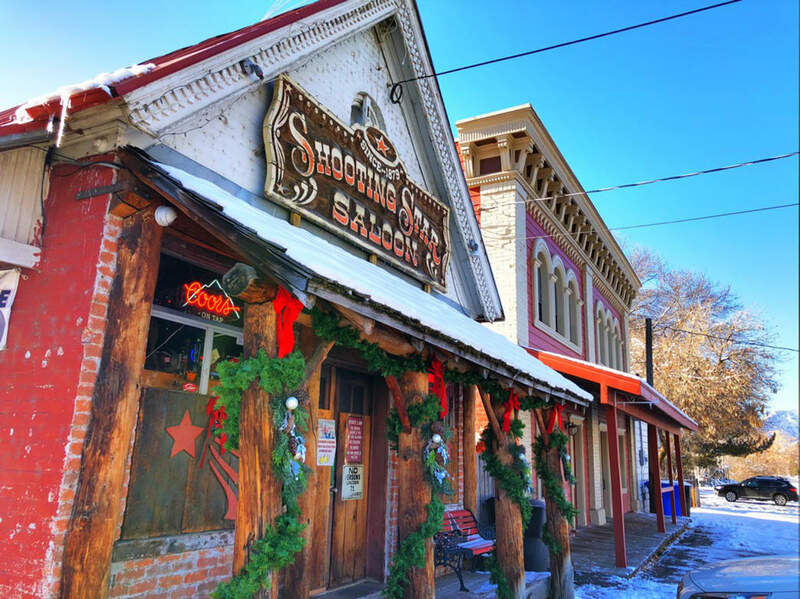 The Shooting Star Saloon is Utah’s oldest continuously operating bar, having opened its doors in 1879 – Visit Ogden. The Shooting Star Saloon in Huntsville in the Ogden Valley is the ultimate local’s favorite for après ski beers and burgers. The saloon, which opened in 1879, is Utah’s longest continuously operating bar. Sip draft and bottled beers and eat one of their famous cheeseburgers or the renowned Star Burger with two beef patties topped with cheese and a grilled Polish sausage for your meat fix. Ogden offers a wide range of restaurants for every budget and taste. The great thing about Ogden is that it’s not an overpriced resort town for tourists and the well-heeled, which keeps prices within your budget. The central downtown area is filled with dozens of locally owned and independent restaurants, is filled with good food and smells, and the parking is free and easy to find. Recommended eateries include Union Grill, Roosters Brewing Co., Slackwater Pub & Pizzeria, Sonora Grill, Rovali’s Ristorante Italiano, and Tona Sushi, continuously voted as Utah’s best sushi restaurant. 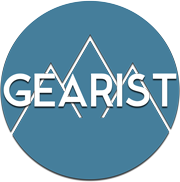 Written by Stewart Green for RootsRated Media in partnership with Utah Office of Tourism. Featured image provided by Visit Ogden. Skiing the Southern Colorado Powder Highway. How Someone Living in Texas Can Be Skiing in Utah By Lunch.